Thanks so much for stopping our website today! With interest rates still around 4.5%, now is a great time to look back at where rates have been over the last 40 years. Rates are projected to climb to 5.0% by this time next year according to Freddie Mac. 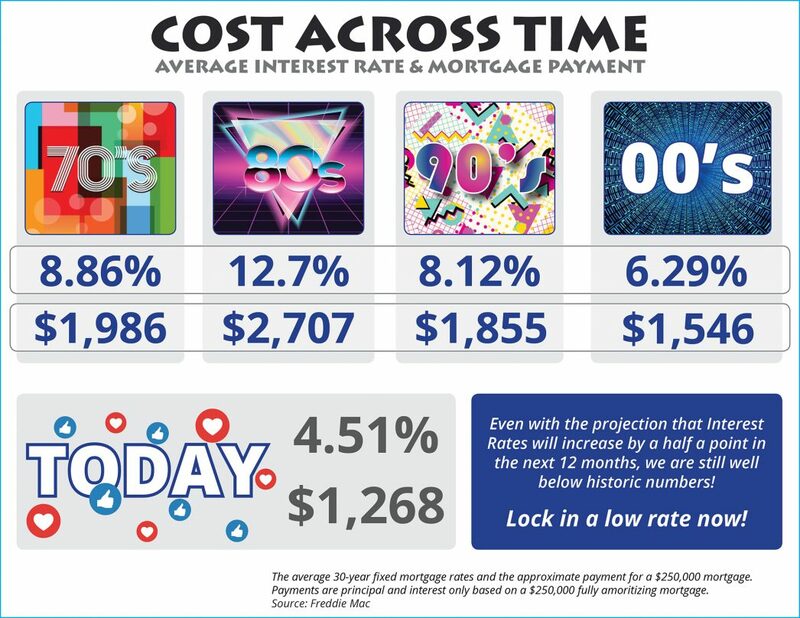 The impact your interest rate makes on your monthly mortgage cost is significant! Lock in a low rate now while you can! Thanks for stopping by today and always if you have any Real Estate Needs or Questions please contact us at. Please give your name and email.